David Priess. George H.W. Bush, foreword. Every president has had a unique and complicated relationship with the intelligence community, and the most conspicuous tie between the two comes in the form of the President's Daily Brief, a short summary of what the intelligence apparatus considers the most crucial information for the president to know about global threats and opportunities. 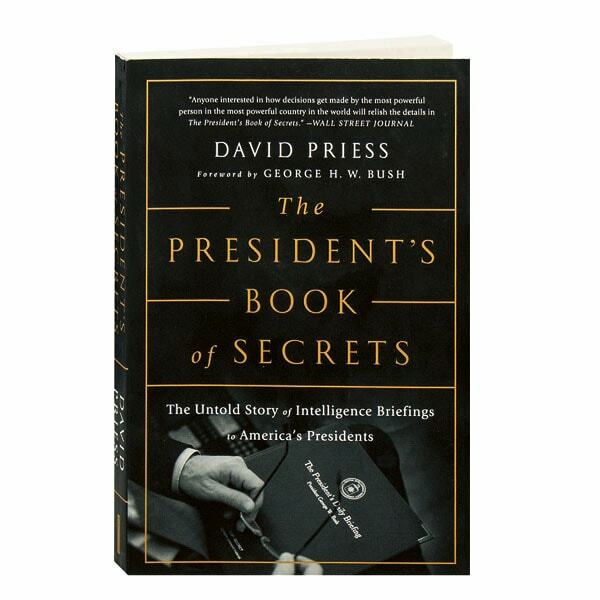 A former intelligence briefer himself, David Priess interviewed all of the living presidents and vice-presidents through 2016, and here he takes a closer look at the nearly sixdecade history of the PDB, revealing how it is produced, how it is wielded, and how it influences policy. Along the way, Priess also offers anecdotes on those who barely looked at it (Richard Nixon) and those who spent all day with it (George W. Bush). Priess's former boss George H.W. Bush contributes the foreword.